Celebrate & cook Louisiana dishes with a 'skinny' twist! 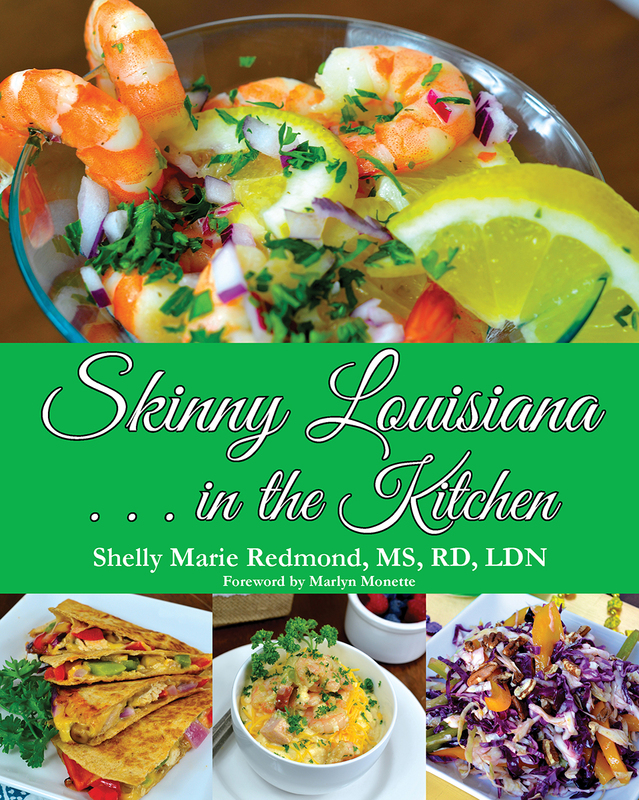 Shelly Marie offers 'skinny' and easy delicious recipes, meals, and snacks reflecting the best of what Louisiana offers. No spending long hours in the kitchen. Skinny Louisiana... in the Kitchen is all about easy to prepare, healthy recipes. 80 Recipes for only $19.99! It's easy, skinny, healthy, and delicious! Learn to prepare simple and mouth-watering Louisiana style dishes in no time. Skinny Louisiana in the Kitchen combines the authentic and delicious flavors of Louisiana cooking with principles of healthy eating. Shopping guide that helps you plan a successful trip to your local grocery store.